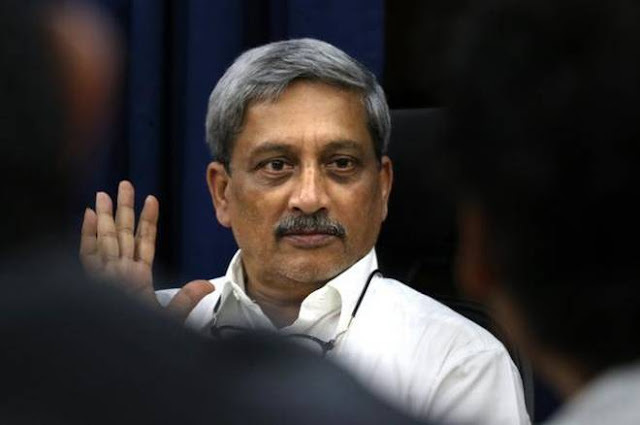 Goa Chief Minister Manohar Parrikar (63-years) passed away in Panaji on 17th March 2019 after a prolonged illness. He was equally noticed along with big names like Soumitra Chatterjee and Rabi Ghosh in a classic comedy like 'Basanta Bilap' or in 'Dhonni Meye'. Former Supreme Court Judge Justice Pinaki Chandra Ghose is set to be India's first anti-corruption ombudsman of India. Justice Ghose's appointment has come nearly five years after the Lokpal Act was notified on January 16, 2014. According to the Reserve Bank of India's weekly statistical supplement data, Indian banks' loans rose 14.6 percent in the two weeks to March 1 from a year earlier, while deposits rose 9.8 percent. According to the ratings firm Icra; fresh NPAs in the banking sector are expected to moderate to 1.9 to 2.4 perc ent in FY'20. Australia's Dominic Thiem defeated Switzerland's Roger Federer in the men's singles final of the BNP Paribas Open in California.